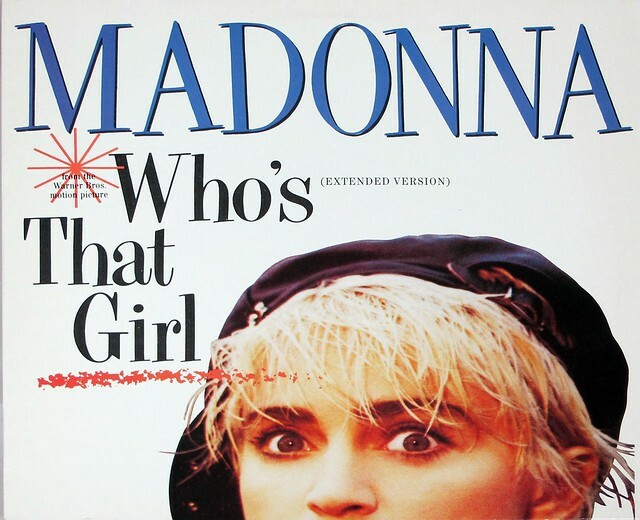 "Who's That Girl" is the song by Madonna from the soundtrack album "Who's That Girl" of the motion picture of same name. 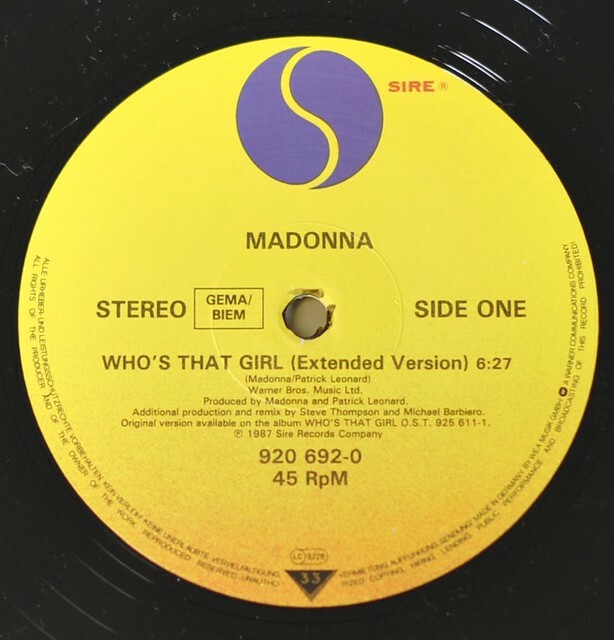 While shooting for the film, then called Slammer, Madonna had requested Patrick Leonard to develop an uptempo song that captured the nature of her film persona. 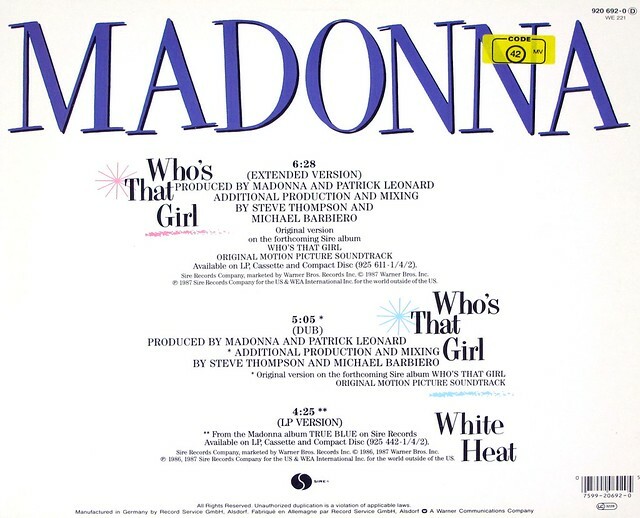 She later added the lyrics and vocals to the demo tape developed by Leonard, and decided to call both the song and the movie "Who's That Girl"
High Quality Photo of Album Front Cover "MADONNA - Who's That Girl"
Album Back Cover Photo of "MADONNA - Who's That Girl"
Complete Track-listing of the album "MADONNA - Who's That Girl"